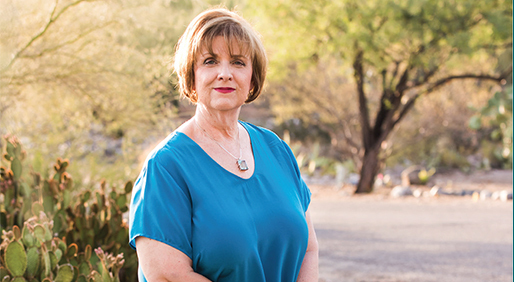 Zuniga, a board member for the Arizona Carcinoid and Neuroendocrine Cancer Foundation, recounts her experiences in that trial — and her many other treatments — when she talks to patients and others at events sponsored by the organization. Zuniga has undergone eight surgeries since her first NET was discovered in a lymph node under her right arm. NETs were later found in her gastrointestinal tract and ovaries. Zuniga enjoys mentoring other patients as part of her volunteer work with the Arizona Carcinoid and Neuroendocrine Cancer Foundation. In February, she helped organize a panel discussion with physicians from Banner MD Anderson Cancer Center in Gilbert, Arizona, which was simulcast online so patients anywhere could learn about new treatment options and therapies that are in development.